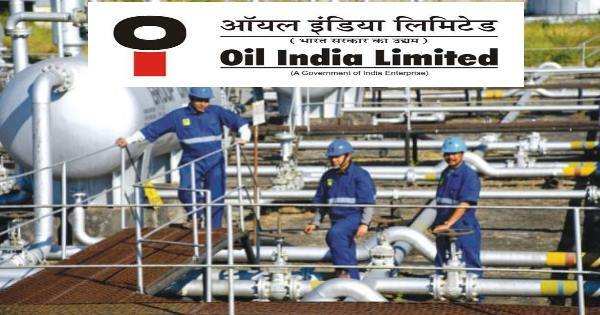 Oil India Limited (OIL) is the second largest hydrocarbon exploration and production Indian public sector company with its operational headquarters in Duliajan, Assam,hold approx 9000 plus employee, India under the administrative control of the Ministry of Petroleum and Natural Gas. The company is a state-owned Navratna with its corporate offices in Noida in the New Delhi-NCR region. OIL is engaged in the business of exploration, development and production of crude oil and natural gas, transportation of crude oil and production of liquid petroleum gas. The company's history spans the discovery of crude oil in the far east of India at Digboi, Assam in 1889 to its present status as a fully integrated upstream petroleum company. Educational Qualification: Bachelors degree in Law (LLB or equivalent) of minimum 3 years duration with minimum 60% marks. Age Limit as on 31/05/2017: UR:29, OBC (NCL):32. Grade & Pay Scale: Rs. 24,900 – 50,500/-. Candidates fulfilling the above criteria may apply online on the website www.oilindia.com from 11/05/2017 to 31/05/2017. Read the instructions carefully and fill in the online Application Form giving accurate information including experience details. After successful registration, system will generate a unique registration number. Candidates are required to keep the printout of the registration slip which will be generated by the system after successful registration. All the details given in the Application Form will be treated as final and no changes will be entertained. For any queries please contact us at oilrec@oilindia.in.